Missed calls may become lost opportunities. Remote Business Help team members provide engaging, friendly phone support on your behalf. They make prospect and customer calls, expand your customer reach, nurture client relationships, save you time, reduce employee overhead, improve the bottom line. When time and employees are valuable, they are happy to step in, listen to customer complaints you would rather skip, email requested information, reach out to event sponsors, follow-up with the exhibitor leads, set appointments, etc. Current phone call support is focused on the few amazing clients at a time, to give them the attention they deserve. Our objective is to sound like a part of your team. While there are many call centers supporting large companies, we love working with start-ups, entrepreneurs and small businesses. Small businesses owners are passionate, innovative and tend to have intimate understanding of their customer base. They know that their bottom line depends on building relationships. Need more reasons to delegate your calls? We have at least 10. 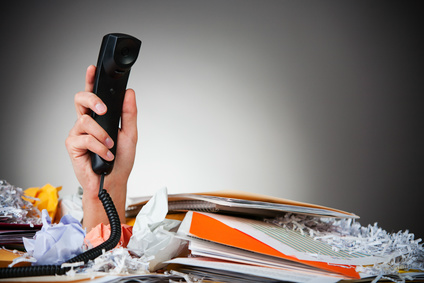 10 great reasons to delegate your phone calls to us. 10. Ringing phones disrupt focus. Frequent phone interruptions may prevent progress. Delegate your incoming and outgoing phone calls and zoom in on your expertise. 9. It’s all about how you sound. Professional and friendly… Our goal is to make you sound good. 8. Leads don’t qualify themselves. When you get requests for information at events, online, in person or during phone conversations, we follow-up. We even qualify these leads for you. 7. Who loves screening calls? We do. Hundreds of job applicants may be a good problem to have, but is there spare time to go through all of the resumes? If not, we’re on it! We conduct initial phone screening and only forward your top candidates. And, yes, we screen incoming telemarketing calls too! 6. You are on vacation…from your phone. 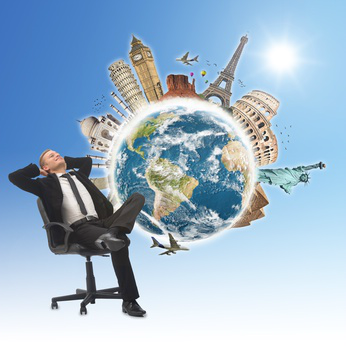 When you travel abroad, you may not want to make and take calls nor pay for hefty international calling plans. Or, maybe you just need a break from your phone. Contact us. We’ll handle the rest. 5. Missed calls may be missed opportunities. Get live phone call coverage and leave your worries behind. 4. Friendly service is included; no extra charge. You don’t have to pay extra for friendly reps. Here, they are the norm. 3. Happy customers make the best salespeople. Can you say… word-of-mouth advertising, testimonials, positive online reviews? 2. Good client relationships work wonders for the bottom line. Engage with clients to build and nurture relationships. As a result, get happy customers, who can’t wait to spread the word about your brand. 1. Reducing employee overhead makes $en$e. Only use us when needed. No commitments beyond the plan…period…unless you prefer commitments. We are okay with that. Regardless, we are committed to your continued success! Have another reason? Please share.